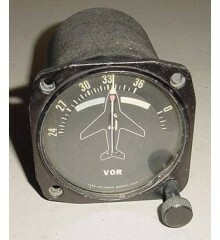 3 1/8" WWII P-38 Lightning Aircraft Radio Magnetic Compass Indicator. Manufactured by Lear. P/N 97536-01. It shows very well and it would make a great addition to a mock up panel or simply as a display item on the bookshelf or desk. Sold for display ONLY, as is, no returns.